You will surely get worried when you see your iPhone stuck on 'Attempting data recovery' during iOS 12 update. No doubt, you were waiting for this new update for a long time. When it has finally arrived, you must be annoyed for not being unable to finish the software update successfully due to such issues. According the emails we've received, there are many people who are stuck on 'Attempting data recovery' screen when they are updating to iOS 12. Actually, the problem usually occurs when you try to update your device via iTunes or when you use iTunes for restoring your device from backup. Before you start worrying more, we have brought you solutions you can try to fix the problem by yourself. 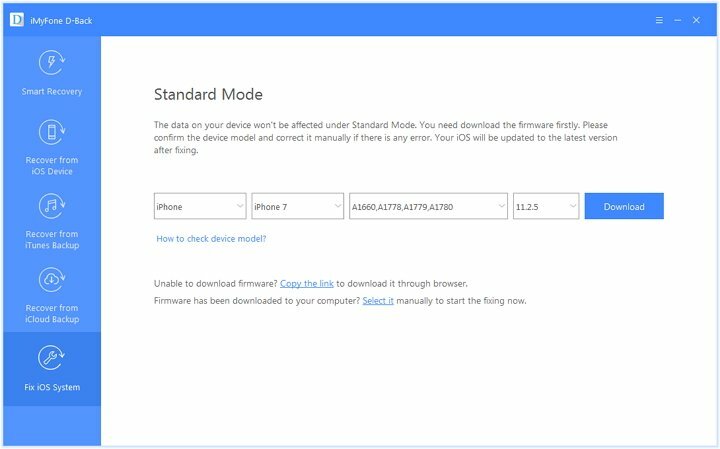 Please go through the article and get to know what you should do when your iPhone stuck on 'Attempting data recovery'. Tip 1. 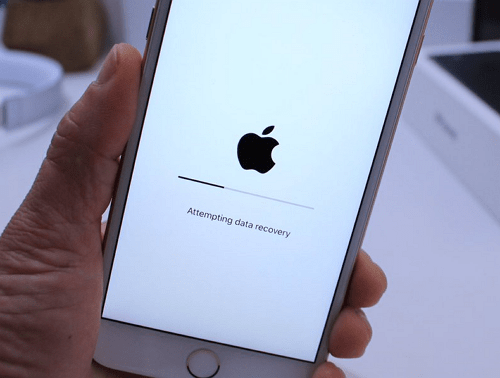 How Long Does It Take for Attempting Data Recovery on iPhone? 1. How Long Does It Take for Attempting Data Recovery on iPhone? When you stuck with 'Attempting data recovery' screen during iOS 12 update or when you are restoring a backup to your iPhone, you must be wondering when it will finish recovering, we would like to inform you that it all depends on what size of your data is. If the size is too large, it can give you a hard time while if the size is small, the problem usually finishes in about 2 minutes. 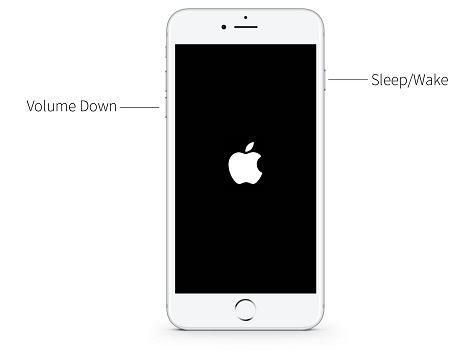 To force restart your device, make sure to press and hold down the 'Home' and 'Power' buttons together and release them when you see the Apple logo on your screen. This will work on iPhone 6 and earlier models. 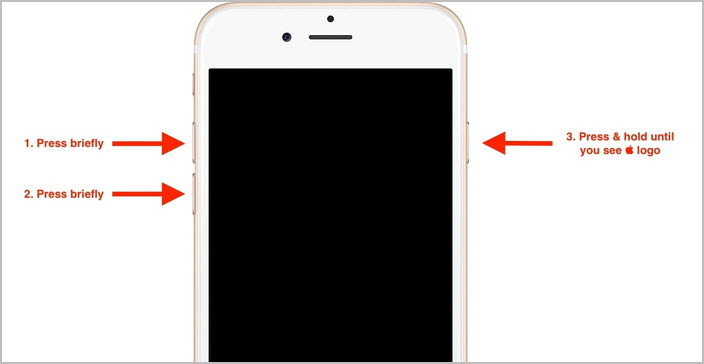 Hold down the 'Volume Down' and 'Power' buttons when you use iPhone 7/7 Plus. In case you have iPhone 8, 8 Plus or X, you need to first press the 'Volume Up' button and release it immediately. Now, press the 'Volume Down' and release. Subsequently, hold down the 'Power' button and when Apple logo comes, release it. The next thing we can suggest to you is getting assisted by a professional and reliable third-party tool like iMyFone D-Back. 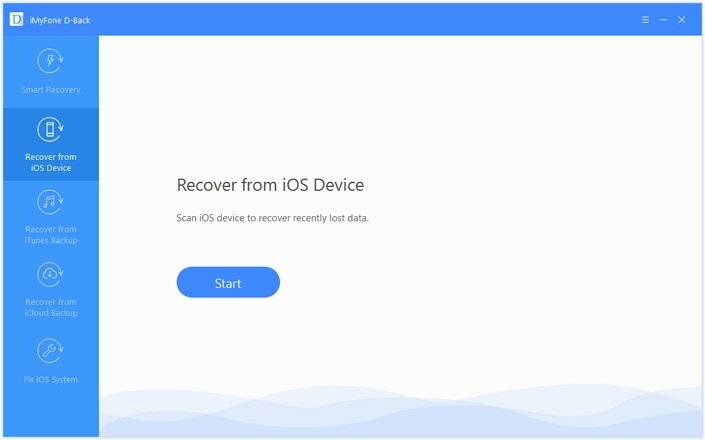 It is one of the most genuine data recovery tools that aim to recover the iOS data from either iOS device or iTunes/iCloud backup files. Another special quality about this tool is it can help the users fixing a wide range of iOS issues. Therefore, you can get help when iPhone is stuck on 'Attempting data recovery'. 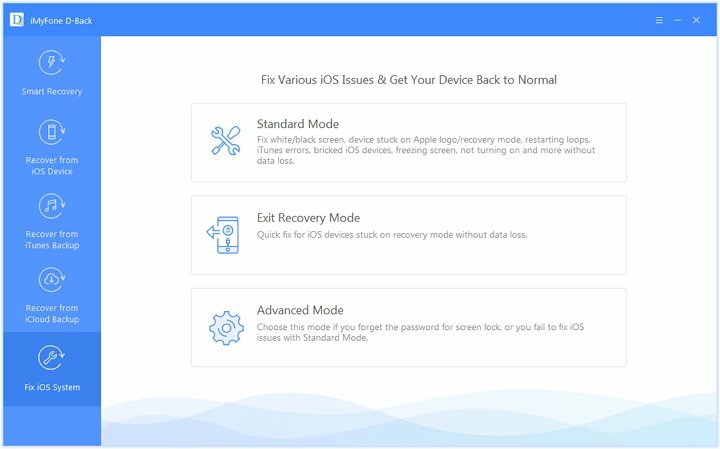 Its 'Fix iOS System' feature holds the power to repair your device and make it back to normal offering three different modes for the purpose. Here is how to use D-Back. It can be used to fix various issue you may meet when updating to iOS 12, such as being stuck in recovery mode, "Unable to Install Update", "Unable to Check for Update " and so on. It allows you to fix the iOS problems without data loss. 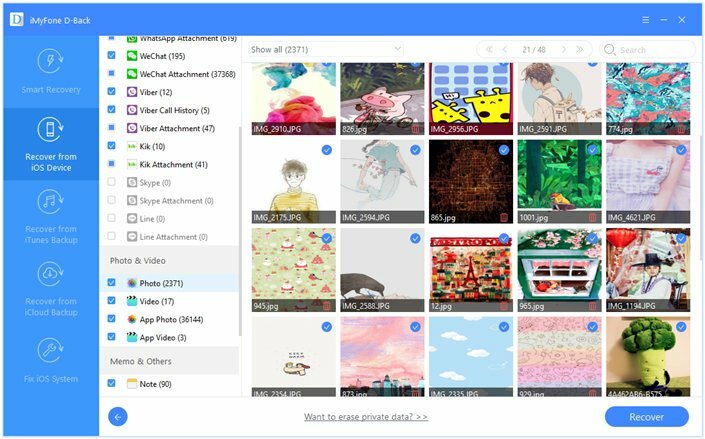 It is basically a popular and professional data recovery tool recommended by famous media sites like Cult of Mac, Payetteforward, Makeuseof, and so on. Here is how to use D-Back to fix your iPhone stuck on 'Attempting data recovery' screen. Step 1 – Install and launch the tool on your PC. Make sure to connect your device now and then when you enter the main interface, click on 'Standard Mode' from the three given modes. Step 2 – You will be able to see the instructions on the screen. 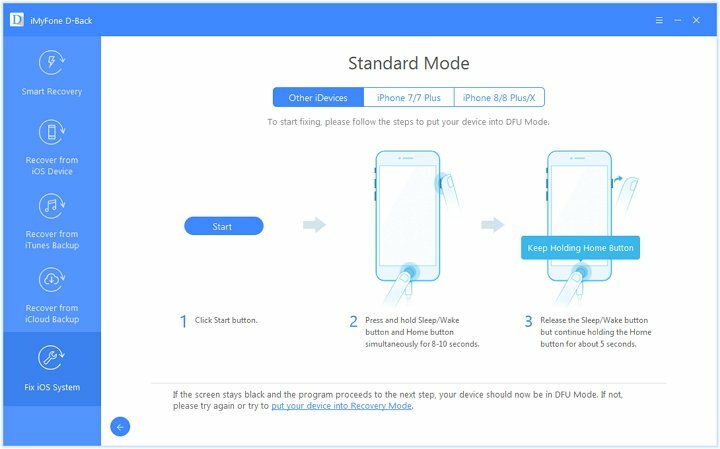 You need to follow those in order to take your device in DFU mode. 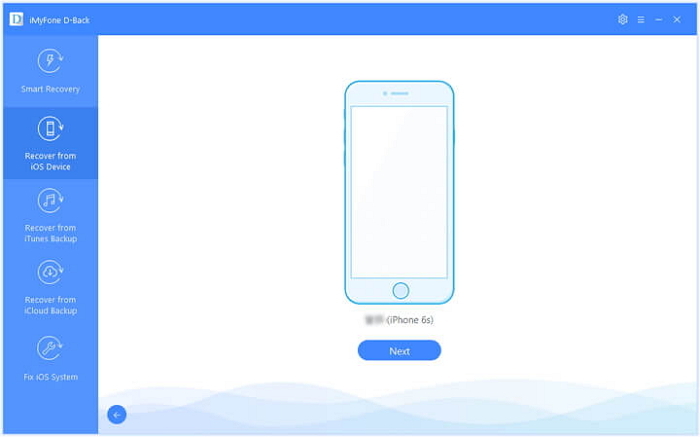 Step 3 – After following the instructions, the program will recognize your device easily and will offer you the latest iOS firmware for your device. Just hit on 'Download' button and wait for the completion of downloading. Step 4 – Now, click on 'Start to Fix' button and the problems with the device will begin to fix making your device back to normal. When your device gets stuck on 'Attempting data recovery' with the Apple logo on the screen, you must be worring about data loss during the process. If you did lose some data after the process "Attempting data recovery", fret no more and be thankful to iMyFone D-Back. 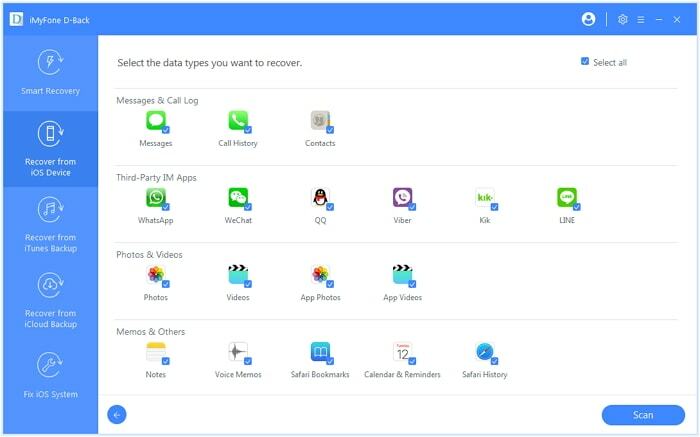 Since we have mentioned above it can recover the deleted data, so here we are going to tell you the steps for recovering your lost data after iOS 12 update. Let's begin. Step 1 – Install D-Back on your PC and launch it afterwards. Click on 'Recover from iOS Device' tab now from the left panel. Then hit on blue colored 'Start' button showing on the main screen. Step 2 – Now plug your device to the PC via lightening cord and wait until the program gets your device connected. Hit on 'Next' once done. Step 3 – After this, you are required to pick out the file types that you wish to recover. Start checking the box given next to each data type which you have lost during iOS 12 update and then click on 'Scan' button. Step 4 – Your selected data will begin to scan now and when the program finishes scanning, you will get a resultant window where all the data will appear after getting scanned. You can preview them one by one from the left panel and then hit on 'Recover' button to get back the data disappeared when updating to iOS 12.